I don't often exercise with top fitness professionals. I don't even turn on YouTube when I'm exercising at home. I'm a qualified fitness instructor. I took a course about two years ago at WA Fitness Academy and it helped me gain some valuable understanding about my body and how we achieve success. I often follow fitness trainers on Instagram and Facebook and my favorite person has to be The Body Coach: Lean in 15. I spend a lot of time looking at wellness & fitness inspiration and motivation. This is something that I live on every day. These people are inspirational in motivating others to get fit. I like to find a balance between getting fit but also feeling good. There are so many extreme ideas that just don't fit with me and my soft nature. I'm really strong in my upper body but as I work in a sedentary job I find that I'm pear shaped and could do with a few more squats. This is pretty similar to a lot of woman out there, am I right? 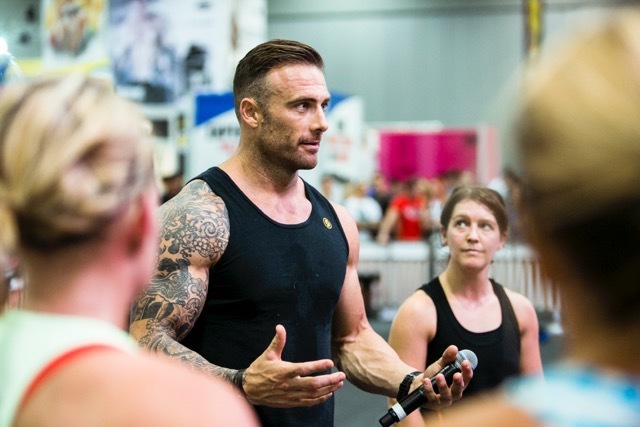 Recently I was given the opportunity to visit a press day for Perth Health and Fitness Expo. It was an incredibly impressive event and I couldn't rate it any higher than 10 out of 10. We started off test driving elliptical bikes and let me tell you they are certainly fun and entertaining. They are also quite the challenge. If you get the chance to try them, Do it! It's fun and tough all at the same time. Then we were brought to meet Max 'The Body' Philisaire. Everyone seemed to be rather excited by this but I hadn't really heard about Max before, so I felt bad for not doing a quick Google before we got there. I have to say that I loved the experience. You know when you instantly feel comfortable around someone? Well that's how I felt about Max. He is a down to earth guy who just happens to put every fitness person in the room to shame with his chiseled physique but he is also humble and gracious. He put about 20 female bloggers through our paces on a body shock core workout and you could tell he loved being the instructor. He was constantly at ease checking on us, counting time, pushing us to our limits and also supporting us. I don't know if everyone held their tongues because of who he was or because they didn't feel pain. It was an intense workout but with very little complaints. I was able to do 13 pull ups with some of them assisted which is strange that is not something I do on a regular basis. Max brings a sense of calm and focus to a group but I felt like every single person pushed themselves incredibly hard in the group. I know because I had DOMS for 3 days after the workout and I rarely get it. After working out with Max, we were able to get some photos and then we were brought to meet Kim Beach. She's a truly lovely woman who is very handy in the healthy kitchen. She talked us through one of her favorite smoothie recipes which was really delicious. Top tip: freeze your bananas and then add them to your blender. It was really yummy and definitely moreish after a workout. Kim has a no excuses training program that's available online here. She also has some yummy recipes that you will be able to try out at home too. At the end of the morning, we were treated to a photo with Commando which was a little scary and I see him as such a scary person on TV but he was very nice. 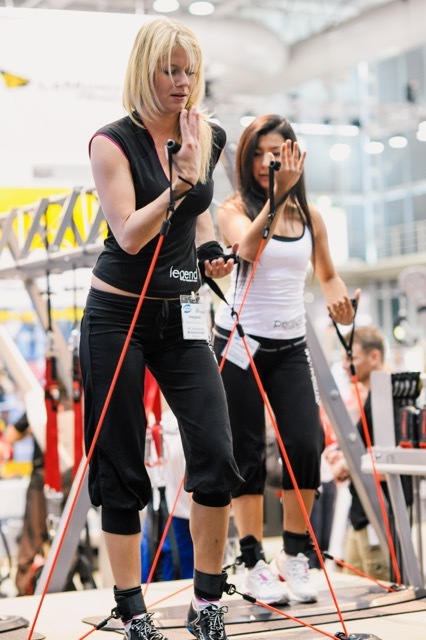 If you are in Sydney, Brisbane or Melbourne do yourself a favor and get to the next Health and Fitness Expo. It's worth it I promise you! I feel more motivated and enthusiastic after seeing so many people at the expo working towards a healthier version of themselves…and you can do it too. Book your workout with Max The Body and you won't be disappointed.